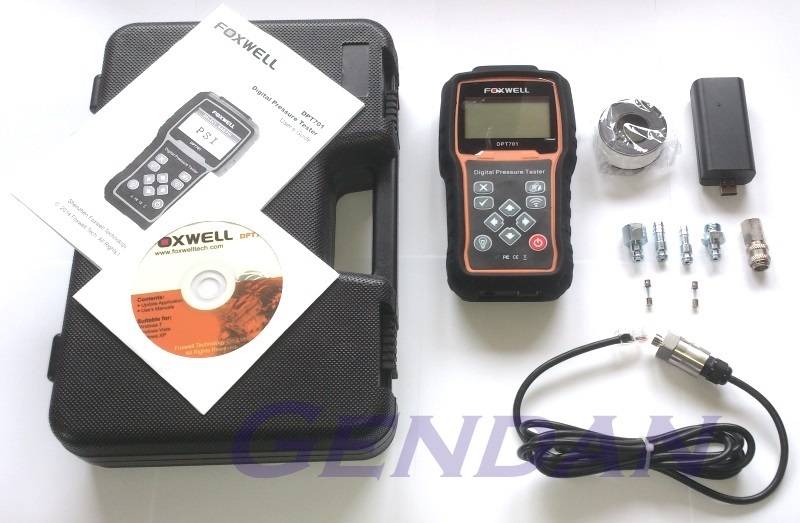 The Foxwell DPT701 is handheld digital pressure tester. It offers modes to read oil pressure, petrol and diesel compression, petrol injection pressure, common rail diesel injection (low pressure circuit only), and a general manometer mode. It can also be used to measure pressure for any gas or non-corrosive liquid, up to a maximum of 80 bar (1160 PSI). The DPT701 also comes with a wireless USB dongle to connect to a Windows PC, allowing you to stream results directly to a live graph on your PC screen, and to print reports via your usual PC printer.